ESPN's online video ambitions are growing as it looks to secure its future. Disney and Twitter are teaming up to create live shows for the short-form messaging platform, the two companies announced on Monday. ESPN, which is owned by Disney, and Twitter will co-create and develop live shows for the platform and share advertising revenue, the companies said. For Twitter, the move elevates its efforts to broaden into live video, following deals with Bloomberg and BuzzFeed for news video. Twitter also has deals with sports leagues including Major League Baseball. Twitter stock rose more than 4 percent after the announcement. ESPN isn't the only party to the wide-ranging deal. Disney said many of its divisions will eventually produce live content for Twitter, including ABC, its cable TV channels, its movie operation Walt Disney Studios, Radio Disney and Marvel. Viacom also said Monday that it had reached a deal to provide Twitter with "daily news content" from Comedy Central, BET and MTV. ESPN's deal with Twitter comes shortly after the launch of its streaming subscription service, ESPN+. Disney has said it is planning to launch a second entertainment-oriented streaming service in 2019. This deal is viewed as helping ESPN highlight its new online video products on social media, a destination of growing importance to media outlets looking to appeal to younger viewers. For Twitter, it's a chance to add more high-quality video, which opens the door to more expensive video ads. "For Twitter this is a continued push into more video content, and more premium video content," said Peter Csathy, chairman of Creatv Media, a media consulting and venture firm. "Twitter has invested a lot of money into live sports." He added that Disney would see it as a way to get younger Twitter users into the so-called Magic Kingdom. The agreement with Twitter will also provide Disney with the opportunity to understand its audience better and learn how to "serve the right content and the right ads to the right people," Travis Howe, senior vice president of platform ad sales, strategy and global operations at ESPN, said in a statement about the deal. Earlier this year, Twitter chief executive Jack Dorsey left the board of Disney, citing business conflicts between the two companies. 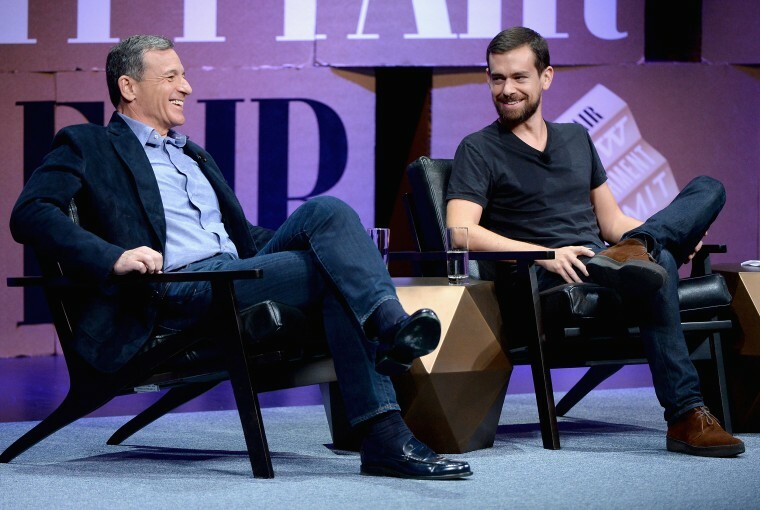 But Dorsey and Disney chief executive Bob Iger have stayed close. Disney once looked at buying Twitter, but the free-wheeling world of social media has had issues with fake accounts and hate speech, which many viewed as possible reasons why Disney ultimately passed. The deal was announced as part of a series of presentations by digital video entities called the NewFronts, which are aimed at confirming long-term ad commitments in advance of similar pitches by TV networks.